I found a certain technique of slicing the fruit really helpful in the end. Although I’ve written it out here I think the pictures below are probably easier to work out how I did it. You shouldn’t get too much wastage from off-cuts using this method, but if you find you do you can always package them up in a zip lock bags to save for later for smoothies. 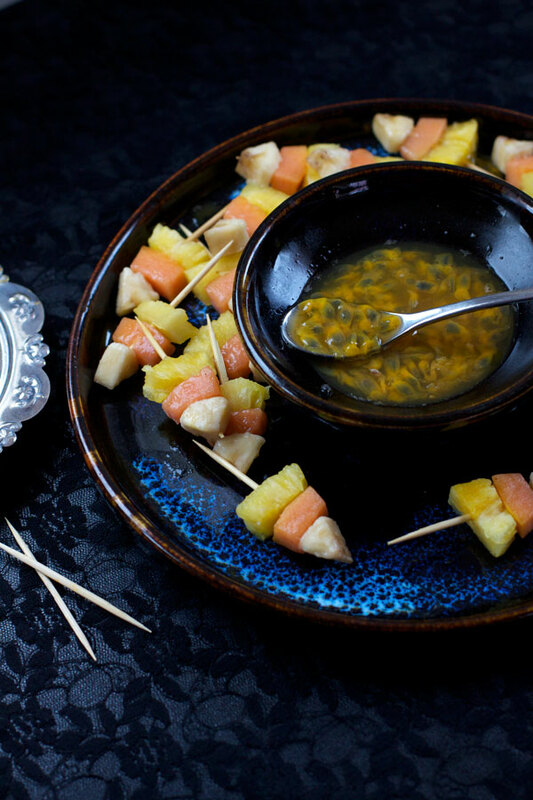 Peel the banana, pineapple and papaya. 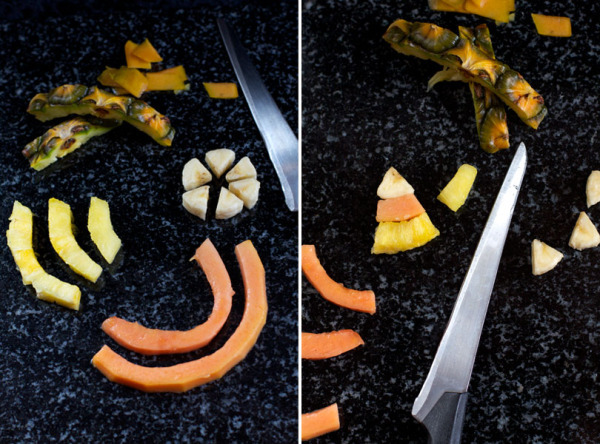 Cut pineapple and papaya in half lengthways (a 1/4 piece of the whole fruit). 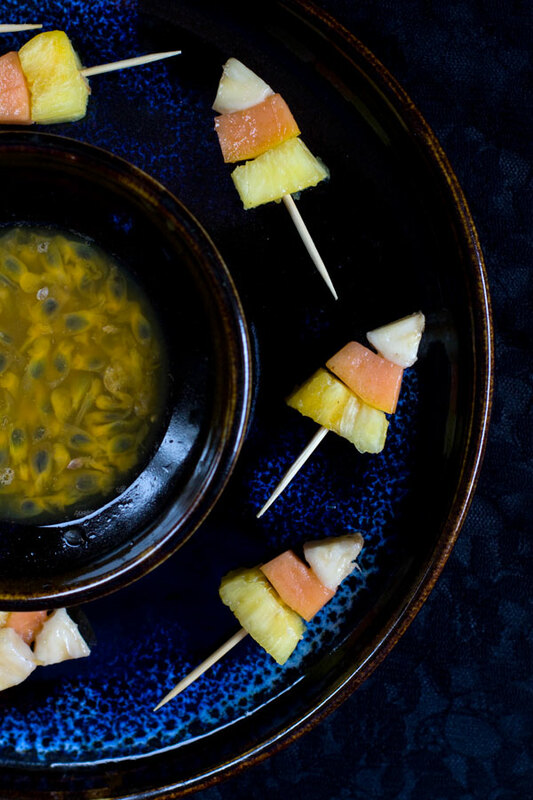 Core pineapple and deseed papaya. 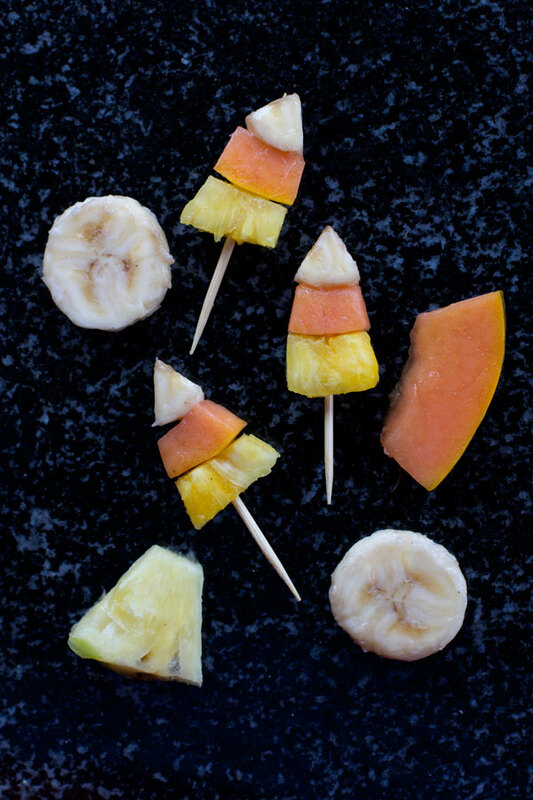 To cut the fruit for kebabs use one of the banana pieces as a guide. 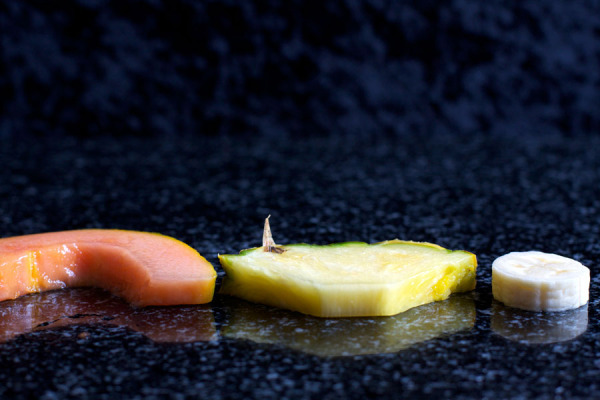 Measure and cut the papaya first, then use this piece to measure length of pineapple. 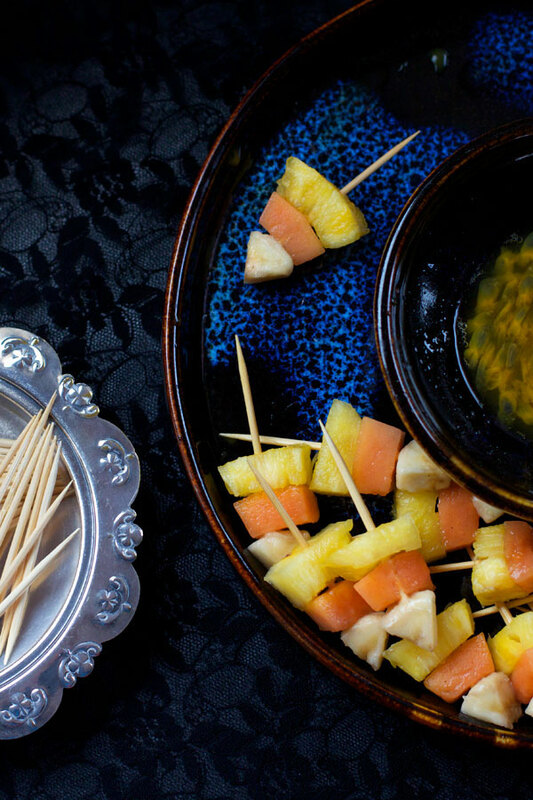 Place fruit on mini kebab sticks! Pineapple first, then papaya and finally banana! To make the syrup simply mix the honey and passionfruit together. If you find that they don’t mix too well, you can heat them slightly over a low-heat stove – add the lime after they are combined and stir again. 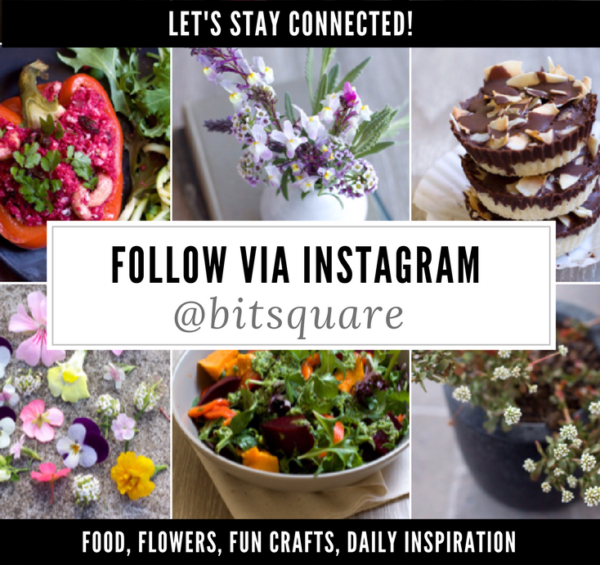 Share your pics with me on instagram (@bitsquare) or post them directly to my facebook wall if you make this. I always love seeing them. What sort of fruit would be your favourite to use for these? Love this simple, yet lovely idea. So perfect for Halloween parties that are usually overloaded by sweets. This is so clever, cute and healthy!